Northwestern’s International Office is preparing for expected limits on student visas given to Chinese citizens. Media outlets have reported that Chinese graduate students in aviation, robotics and high-tech manufacturing will be restricted to one-year visas. The Trump administration is expected to impose limits on visas granted to Chinese citizens amid concerns of intellectual property theft, potentially putting Northwestern’s research operations at risk. United States consular offices and embassies have been instructed to shorten the length of visas for Chinese graduate students enrolled in some science and technology programs. The U.S. hasn’t issued a public announcement, but several media outlets have reported that the change will go in effect on June 11. The Associated Press reported that Chinese graduate students in aviation, robotics and high-tech manufacturing will be restricted to one-year visas. These areas have been identified by China as ones it wants to dominate in its “Made in China” 2025 manufacturing plan. Such shorter visa stays could impact the admission of Chinese students; at Northwestern, roughly 40 percent of international graduate students are from China. Medill freshman Amy Ouyang, technical chair for the Chinese International Student Association, said while the policy won’t impact her, many of her friends with visas are worried about post-graduation plans because many want to stay in the U.S. Though she understands the national security concerns, Ouyang said the policy will limit future opportunities for Chinese students. “The reason we may be upset about this is not really related to whether we’re going to work at some crucial position or not in the future, but whether we just want to have this opportunity to stay if we want to,” she said. 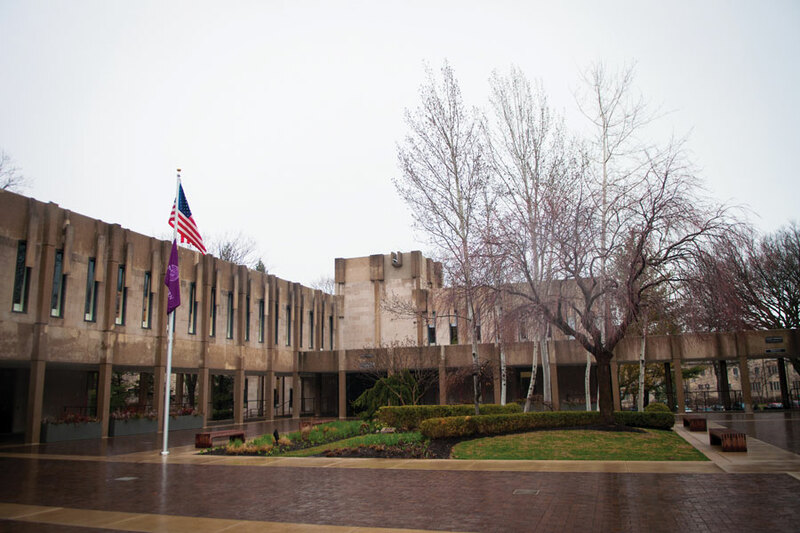 Ravi Shankar, director of Northwestern’s International Office, said the office plans to inform and advise students to minimize the policy’s impact, though the office is awaiting a full analysis of the change. A cursory review by International Office staff suggests current students may be restricted from going home, as a shorter visa may mean they have to undergo another vetting process. If a student’s visa application is delayed while at home, they may not make it in time for the start of school. What may generate more enduring effects, however, is the policy’s impact on the University’s research operations. Shankar said visa restrictions will limit Northwestern researchers’ ability to recruit the “best and brightest” in their fields. Shankar also said the policy will add scrutiny to an already “highly-regulated” population, though he understands the worries about having Chinese citizens involved in sensitive research. “We need to make sure that we support and take care of our students, but at the same time being mindful of the fact that this has some potential impact on our research and teaching mission,” he said. Shankar said he will coordinate with offices involved in admission and others potentially impacted by the policy, such as The Graduate School, the Office for Research and the Office of Postdoctoral Affairs. The news comes as friction between the two countries continue to rise on the brink of a trade war. China announced Thursday it would suspend tariffs as it prepares to negotiate its trade surplus with U.S. officials after Trump imposed stiff tariffs on Chinese imports. Trump hinted at the academic visa restrictions when his administration released a national security strategy in December, saying it would tighten visas “to reduce economic theft by non-traditional intelligence collectors,” specifically those studying a science, technology, engineering and mathematics field. The New York Times reported earlier in May that Trump was considering restricting Chinese citizens from conducting research at American universities and other institutions. But while the policy is emblematic of the administration’s “America First” economic philosophy, it also comes as student visa restrictions continue to strengthen. In a statement, Ted Mitchell, president of the American Council on Education, said these limitations, though “apparently aimed at Chinese students in certain STEM fields,” could have a chilling effect on the United States’ ability to attract international students from across the globe. “We are anxious to do our part to ensure that America’s national and economic security is protected, while at the same time preserving the U.S. as a destination of choice for the world’s best and brightest students and scholars,” he said.